Relive your childhood dream of becoming a pilot by wearing the King & Queens Automatic Airmaster timepiece. This mechanical aviation watch is reminiscent of old school German aviation watches and is similar to the style of watches from the 1940s. It is made up of black plated stainless steel bracelet, case and hands that are also luminous. 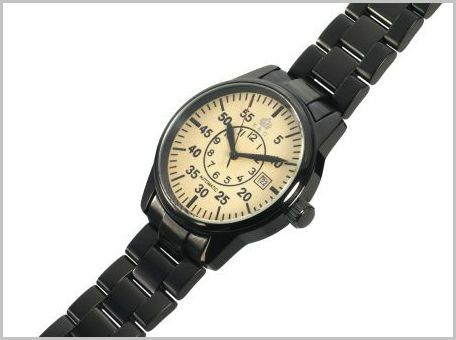 This smart automatic watch comes with a beige dial that contrasts perfectly with the black metallic case and strap.